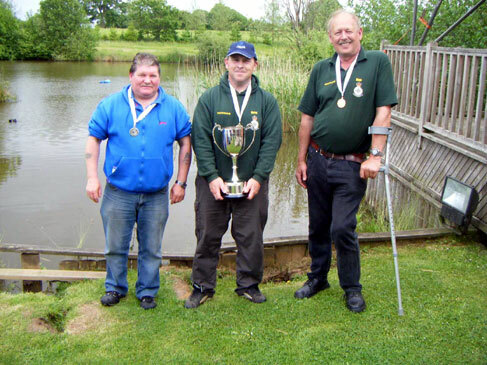 Various circumstances saw just 19 anglers compete for the title of the Angling Trust National Champion at the scenic Blake Hall Fishery near Cheadle in Staffordshire on the 36 peg Capricious Pool on Saturday 22nd June 2013. 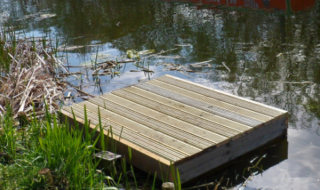 The pool, whilst not renowned for really big weights has developed a fair reputation for delivering close matches where 50-60 lbs of fish can turn up almost anywhere. However, it has almost become the norm this year to blame the weather for generally below par results at many venues across the country and Saturday’s National Championship was no exception. After a week of sometimes stormy conditions interspersed with bright sunshine and fairly high temperatures Thursday and Friday saw a massive low pressure come in giving torrential downpours which, in turn, resulted in a significant drop in temperatures. Sadly as far as the fishing was concerned there was only going to be one outcome. That said it was still a very close run affair with only 4 kilos separating the top four. Top rod on the day and deservedly earning himself the Champion title was local angler Steven Parker. Steven weighed 15 kilos 800 grams from peg 25 catching mainly carp to 2 kilos. He found the feeder with crumb and pellets to be the killer method although he had to keep ringing the hook bait changes. In second spot was Alan Norfolk who had made the long journey from Thirsk. Alan weighed 13 kilos 260 grams of mainly carp to 2 kilos from peg 31. Like the winner Alan caught the bulk of his fish on the feeder using a variety of hook baits. 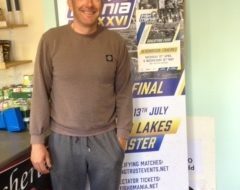 David Chilton from Chesterfield put 11 kilos 580 grams on the scales for third place from peg 17. Again almost all of David’s fish fell to the feeder. Fourth spot went to Alan Chadbone fishing at peg 1 Alan caught a few early fish on the feeder, but took the bulk of his weight fishing his right hand margin. Alan had fish to 3 kilos but lost a couple of ‘biggies’ towards the end. 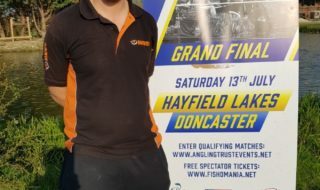 Mansfield angler, John Holmes took fifth place with 9 kilos 420 grams, and Phil Morris completed the top six with 7 kilos 800 grams from end peg 36.